Patient reports and images are available ONLY to registered physicians and their staff. A username and password are required. 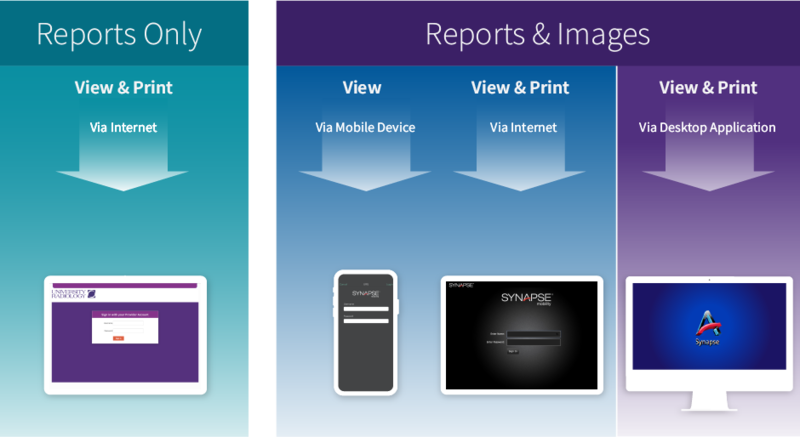 The four alternative ways to view patient results electronically are shown below. If you have technical questions and need assistance, please contact our 24/7/365 Call Center at 732-955-8877. Email helpdesk@univrad.com or call our 24/7/365 Call Center at 732-955-8877.